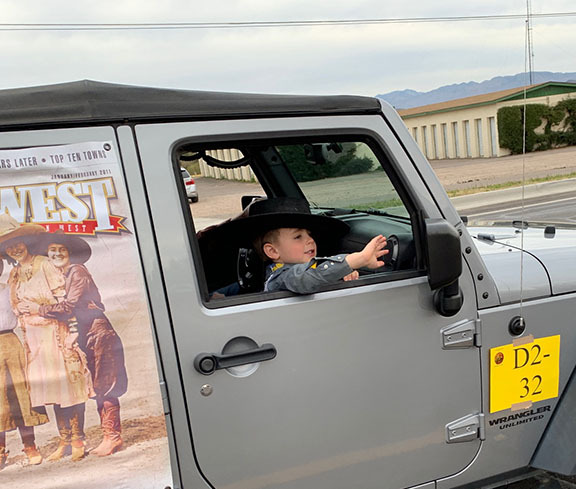 Drove over to Wickenburg yesterday morning with a little guy who has never been in a parade before. The first order of business was to teach him how to stand. 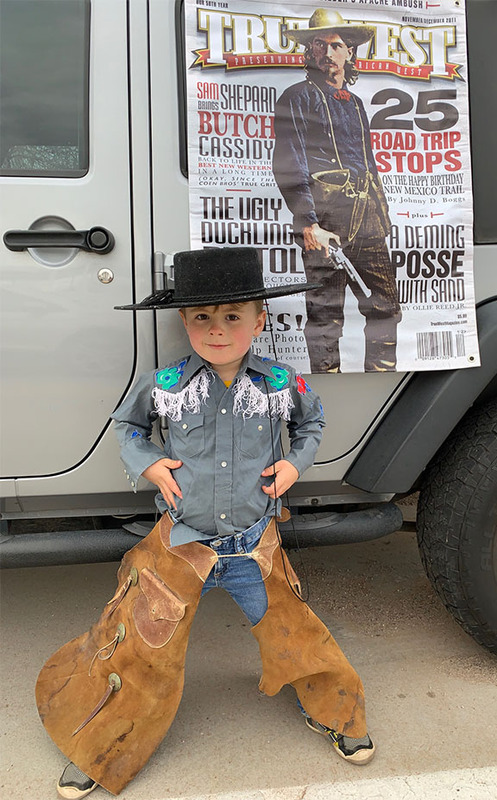 Keep the suspense up, then widen your stance and give us your best cowboy look. 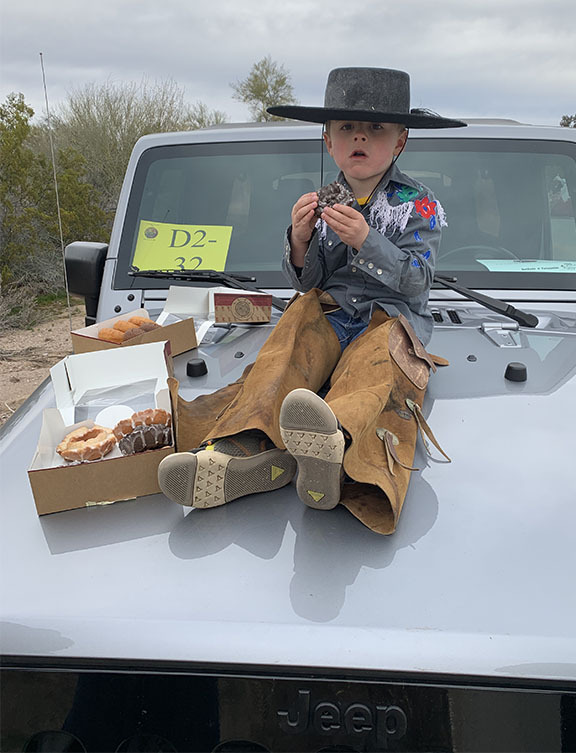 Then it's time to sit on the hood of the Jeep and load up on donuts. Lee Anderson has ridden Concho with us every year for the past decade. Concho is a rescued race horse and Lee has had him for almost two decades (Concho is 19). 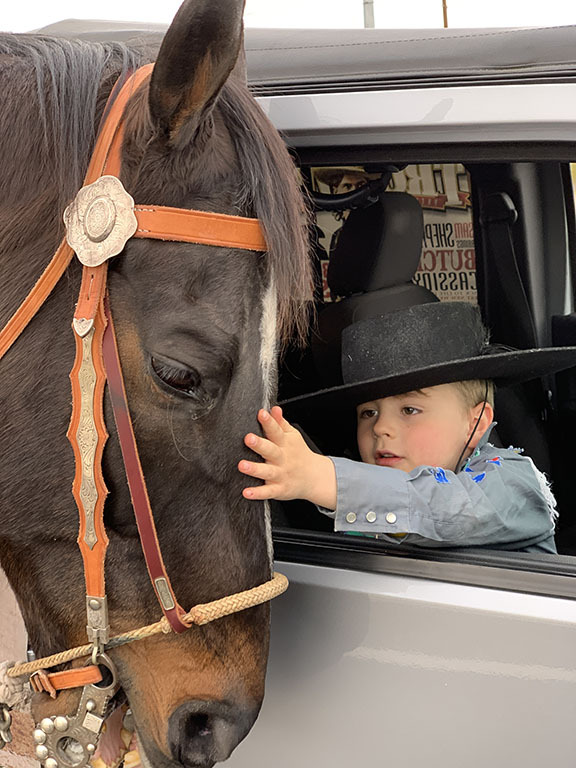 The crowds absolutely love him and cheer like crazy when Lee and Concho do their thing: sideways dancing and prancing and even a horsified moonwalk! The Weston Wave: "Hello Everybody!" 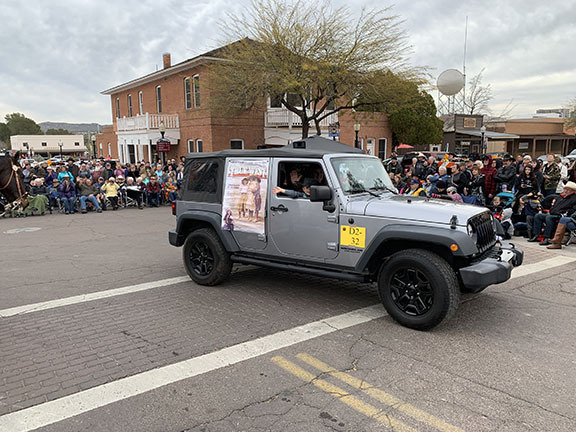 Full disclosure: as the parade went on, I would walk ahead of the jeep and tell the bystanders on the sidewalk, "This is my grandson coming up in the Jeep and this is his first parade and I want you to make him feel good." Several would ask, "What's his name?" and then the entire sidewalk would erupt with cheers for "Weston! We love you Weston!" The funny thing is, the boy basically thought it was normal and kept up his "Hello everybody" routine all the way through. On the ride home he did confess to me he thought the crowd liked him more than me. I couldn't disagree. "Everyone loves a parade, especially if they're in it." This is the best story ever! What a treat! I'll be smiling all day now. 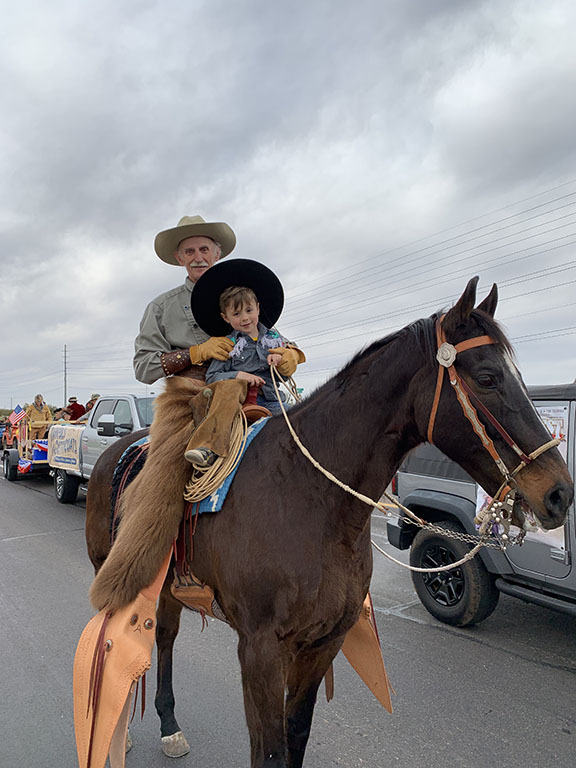 At 75 years old I still look forward to seeing Lee and Concho at the Wickenburg Gold Rush Days parade. And it was a treat this year to see Weston and his proud grandpa having a good time. Sad to not see the Checker Marathon wagon this year, but Weston's grin more than makes up for it. Jes cain't get that fi-ared up over them thar FIAT "Jeeps."